NASA’s Mars Curiosity Rover has discovered a tenfold spike in methane, an organic chemical which may indicate that there actually was life on Mars – or still is. The rover detected this high concentration in the atmosphere, as well as in a rock-powder sample collected by the robotic laboratory’s drill. Computer-generated image of Curiosity on Mars. Image credits: NASA/JPL. Curiosity has been on the Red Planet for about 20 months, during which it has made a number of spectacular discoveries. It has found evidence of water on Mars several times, it detected organic molecules and took some stunning pictures along the way. You could easily say that the mission was a success, but Curiosity is still reporting valuable information day after day – like the discovery of organic molecule concentration. 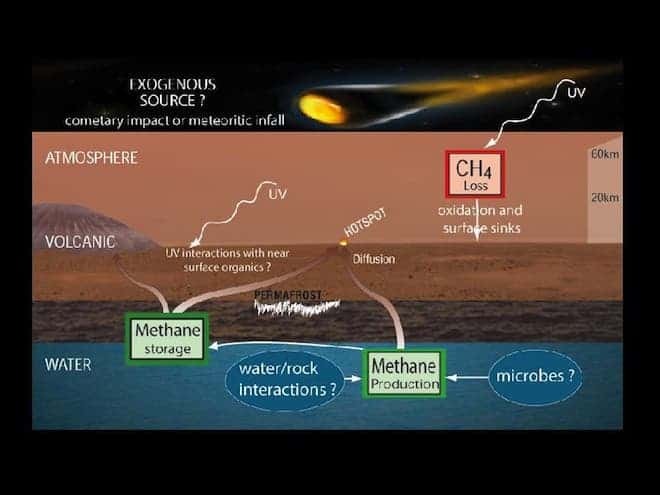 Before you get super excited, you should know that this doesn’t necessarily mean that life existed or exists on Mars – there are also non-biological causes for this methane concentration. 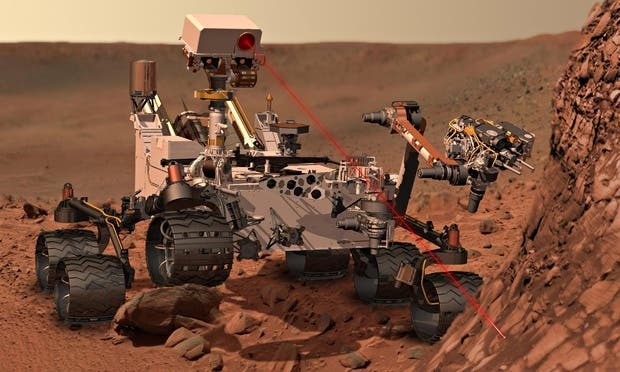 The Sample Analysis at Mars (SAM) laboratory onboard Curiosity has been used 12 times since the Rover landed on Mars to test the atmosphere of the Red Planet. Most measurements averaged at 0.7 parts per million but four measurements averaged 10 times more methane. Curiosity also detected different Martian organic chemicals in powder drilled from a rock – the first definitive detection of organics in surface materials of Mars. It’s not yet clear if these organic substances were formed on Mars or were brought by meteorites. Methane discovered on Mars may indicate that the Red Planet once harbored microbial life. 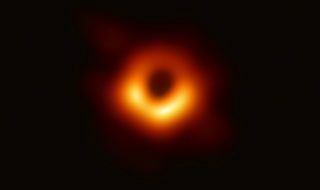 Image via Wired. Organic molecules are typically made out of Carbon and Hydrogen atoms; for example, methane has one carbon atom and four hydrogen atoms. Curiosity’s discovery doesn’t necessarily indicate that Mars had or has microbes, but it does show a chemically active planet. Identifying which organic molecules are there is difficult in itself, but it’s further complicated by the presence of perchlorate minerals in Martian rocks and soils. When heated inside SAM, the perchlorates alter the structures of the organic compounds, so the identities of the Martian organics in the rock remain uncertain.